She wanted to start a gun reform club at her Utah high school. After the adviser initially said it would be 'too political,’ she formed a community group instead. 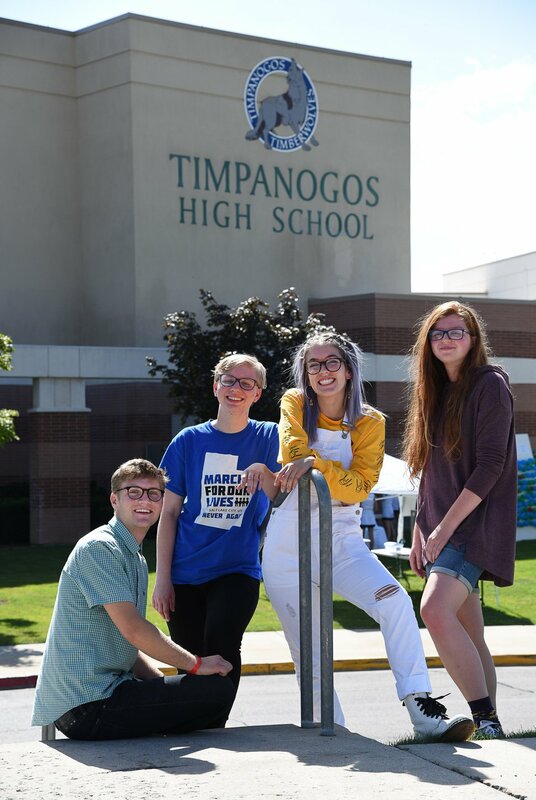 (Francisco Kjolseth | The Salt Lake Tribune) Liz Romrell, a senior at Timpanogos High started the club Students Advocating for Safer Schools or SASS. 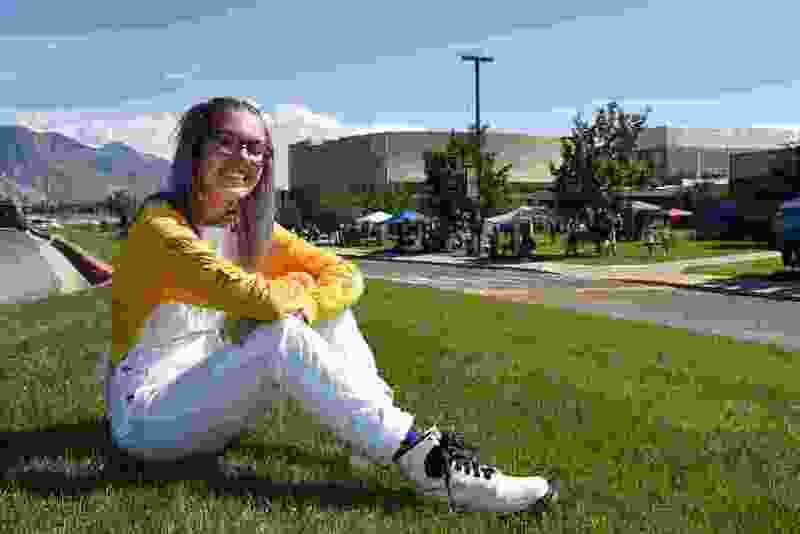 She formed the community group after Timpanogos High School refused to allow it to be an in-school club. Liz Romrell approached the microphone at the Utah town hall held by Parkland students who had survived a mass shooting at their Florida high school. Nervously, she read the question she had typed out on her phone. Romrell, 17, explained that she had wanted to form an affiliate March for Our Lives group at Timpanogos High School in the heart of conservative Utah County. The club adviser there, she said, waved off the idea before she had even submitted an application. She said he told her the group was partisan, controversial and wouldn’t be approved. “You can’t allow them to do that,” responded one of the panelists. “Your school doesn’t define you,” said another. They encouraged Romrell to form a community group outside of the classroom instead. And so she did. Two months after the town hall, Romrell has started Students Advocating for Safer Schools, which has members from four campuses in the Orem area. She likes the club’s freedom to make its own rules and not be tied down by school policies or requirements. (Francisco Kjolseth | The Salt Lake Tribune) Liz Romrell, center right, a student at Timpanogos High, is joined by other students in Students Advocating for Safer Schools or SASS. They formed the community group after an adviser at Timpanogos High School indicated the school was unlikely to approve an in-school club. Included in the club are Colin Robinson, left, a student at Brigham Young University, Jeniel Zimmerman, center left, and Desi Crane, right, both students at Mountain View High School. Last week, as The Salt Lake Tribune was reporting this story, the school’s principal, Joe Jensen, told Romrell she could form the group at Timpanogos High after all. She has decided not to — since the deadlines for forming school clubs have passed — and will continue with her outside group. Jensen declined to comment. At neighboring Mountain View High, for instance, there’s a Young Democrats club. So any assertion that Romrell’s group was “too political” doesn’t align with policy or other schools in the district, Bird added. The two met, came up with a name and drafted a mission statement. Students Advocating for Safer Schools, Zimmerman said, seeks to include student voices from various political viewpoints, promote ways to make campuses more secure with a focus on gun control, bolster anti-bullying programs and push for the district to hire more psychologists and therapists. "Safety is not political," she said. “Just because you aren’t a victim of school violence doesn’t mean there isn’t real fear. But there are reasonable precautions we can take." Currently, the group, which they call SASS for short, has five members, including one student taking classes online and another at Brigham Young University. One is Republican. Another is Libertarian. Two are Democrats. And the fifth is unaffiliated. They met for the first time in August and plan to start recruiting this month. At both Romrell’s and Zimmerman’s high schools, there have been shooting threats made on social media in the last year. Before school started at Mountain View last month, a student posted on Instagram that it would be “the first and last day” of the year for kids there, Zimmerman said. At Timpanogos High, the administrators held a lockdown drill during the first week but didn’t initially specify that it was just an exercise and not an active situation, Romrell said. Romrell said frustration over the club adviser led her to ask her question at the town hall. Now, it’s the frustration over what she sees as the inaction at her school and others to address safety that’s made her dedicated to continuing her community club.